If you’ve been looking to switch to a brand new music streaming service, this might be the perfect time to give Pandora a chance. The company launched an on-demand subscription service called Pandora Premium earlier this year, requiring users to shell out $10 a month. This was a much-awaited add-on and it didn’t strip the users of a free radio-like streaming service, however, the company is now extending its premium features to everybody in the U.S for free. But there’s a catch. Pandora today announced, via an official blog post, the launch of its newest initiative that will enable non-paying users to unlock “Premium listening sessions” on the app. This means free (or Pandora Plus) users will now have to access Pandora’s complete catalog of around 40 million songs without having to fess up any money for the premium subscription. But you must now be scratching your heads, thinking how is that possible? Well, Pandora says that you’ll only be able to unlock a premium listening session once you’ve watched a 15-second video advert. The company currently hasn’t specified the duration of the listening session after you watch an ad but we don’t expect it to last quite so long before you’re presented with more ads. 1. 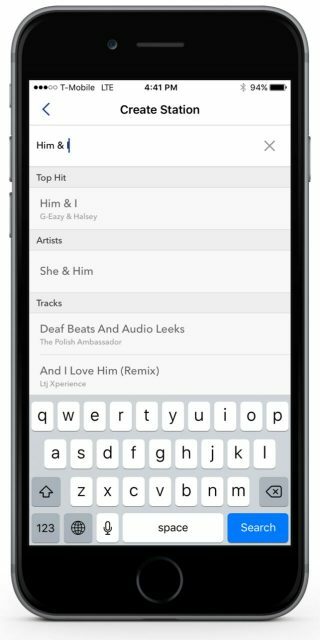 Open the Pandora app and search for your favorite track (such as “Him & I by G-Eazy feat Halsey, as shown underneath). Tap on the title of the track to play the same. 2. 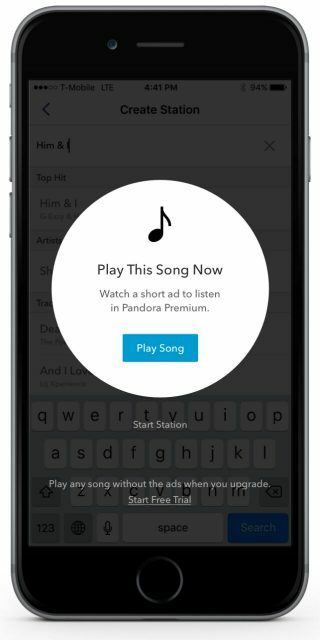 Before the song plays, you’ll be presented with a pop-up that’ll ask you to watch a short advertisement to listen to songs via Pandora Premium. There is no separate option to activate the free listening sessions and you’ll have to watch the ads via such pop-ups to continue using the premium features for free. This is great initiative from Pandora, who’s allowing users to test the waters of their new premium service without having to pay upfront. With a neck-to-neck competition among music streaming services, the company hopes that the listening sessions will eventually translate into paying customers for its $9.99 a month subscription service. So, if you try out the premium listening sessions, share your thoughts with us in the comments down below.